Some of us don't have time to make scary elaborate costumes. I have never actually worn a morphsuit, but it looks fairly easy. 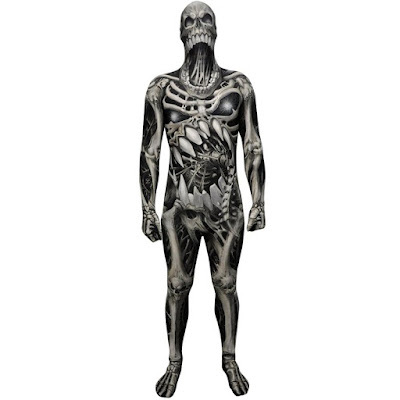 I've never seen super creepy morphsuits like these on Amazon before! I guarantee, if you bought one of these, people would freak! Come check it out. There's a high chance I would pee my pants seeing a person dressed in this skeleton morphsuit lurking in the dark corners of my home. The whole design is super trippy. I can see an additional twisted face on the chest and stomach that almost looks like it's eating itself. I've honestly never thought about dressing up as a realistic bat on Halloween. 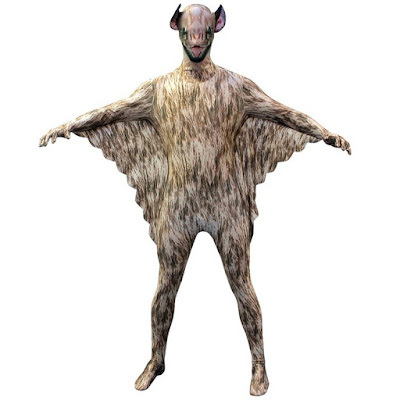 This vampire bat morphsuit is strangely cute. Don't get me wrong, it's definitely creepy. It would be fun to flap your arms about like a bat too! This is spooky and hilarious all at the same time. 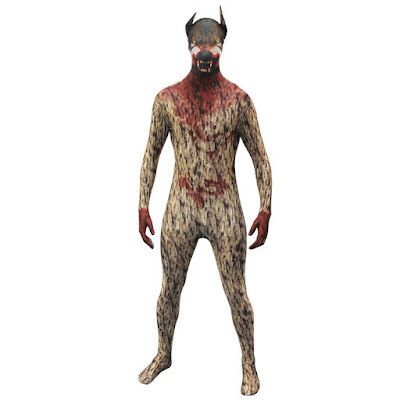 I know with the right lighting the zombie morph suit would look really scary! The exaggerated hanging jaw made me giggle just a little bit. This is a one of a kind and cool costume idea. This Jack O' Lantern monster morphsuit is more awesome than it is frightening. I think it is really clever how they used the pumpkin vines. It almost looks like he was chained to the ground at one point. 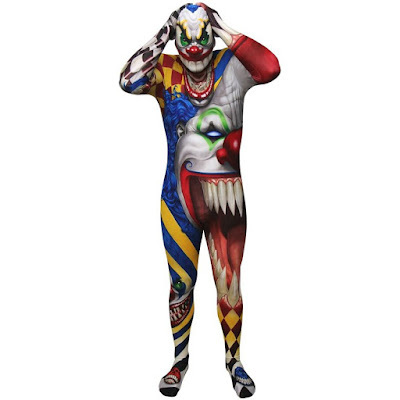 I don't think I could handle someone coming to any of my Halloween parties showing up in this scary clown skinsuit. There's a possibility I would have a heart attack. If that's what you're going for, then go ahead and get it! The clown's mouth is so disturbing! 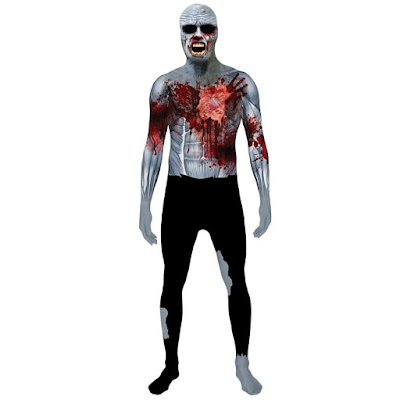 I wonder if the growling mouth is on the actual beating heart zombie morphsuit or if it's the person who's wearing it? 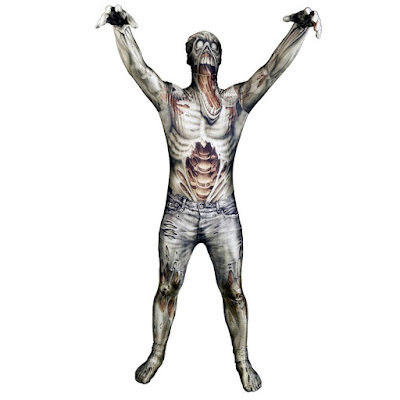 Either way, this is a bit creepy for a zombie, especially how his muscles are all gray and gross. I'm not sure if I actually like this werewolf skinsuit. I think if someone was prowling outside in the middle of the night dressed like this I would panic. Otherwise, his face looks a little stretched out in the photo. Plus he should be wild and furry! Sometimes we just don't have time to make crazy elaborate Halloween costumes. Even if it is 4 months in advance! 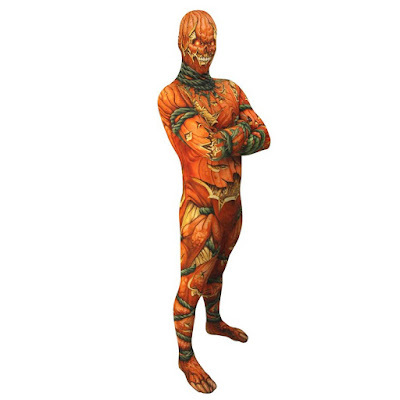 Take a look at some different morphsuits on Amazon. I'm sure you'll find something to scare your fellow friends at your next gathering. Which one is your favorite? Tell me about it in the comments below.